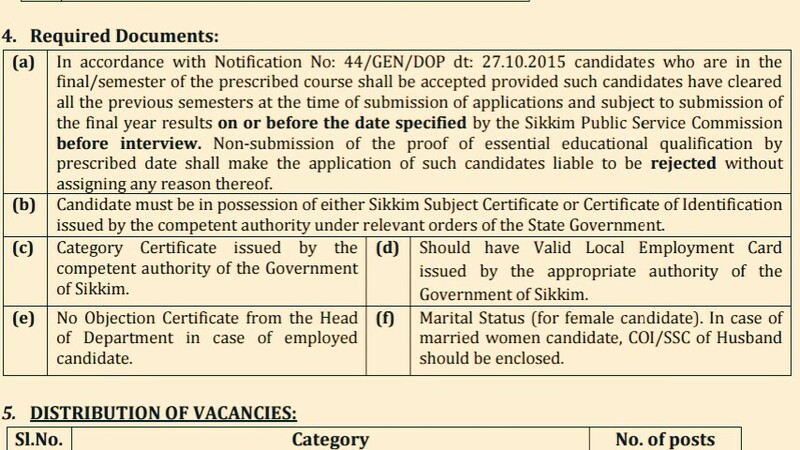 Sikkim Public Service Commission, Is Recruiting 20 Eligible People To The Post Of MPHW. So Interested People Are Required To Submit Their Online Application Form Within The Given Time Period. Multi Purpose Health Worker (MPHW) →20 Online Vacancies, Kindly Go Through The Image's Below For Vacancies Distribution And Important Documents. B. Eligible Criteria For 20 Multi Purpose Health Worker Vacancy In Sikkim Public Service Commission 2019. Educational Qualifications →Class X passed from a recognized board with Diploma in Multi-Purpose Health Worker (Male) Training with minimum period of 18 (eighteen) months from any recognized institute. Mode Of Examination/Selection Process →Written Exam/Documents Verification/Personal Interview. Online Application/Examination Fee →Application fee amounting to Rs 150/- only may be paid online through credit/debit card, Net Banking by Visa/Mastercard. The amount once deposited shall not be refunded or adjusted against any other purpose. Last Date For Online Application Form Submission →20th Of April, 2019. Now Apply For SPSC Recruitment 2019 For MPHW Post.